The arena FPS experts from the Unreal Tournament team were moved over to handle the bulk of the work. We had just about lost interest in Fortnite, a mildly-popular PvE building game when it launched, by September of last year. And then it blew up, becoming one of the most popular games in the world in under six months. Even the Toronto Maple Leafs are all about it. And apparently, the catalyst for this dramatic turnaround only took two months to build. That’s a total of two months in development, most of which happened between July 25, Save the World’s launch day, and Battle Royale’s September 26 launch day. In order to meet the needs of such a quick development cycle while keeping the PvE mode afloat, some arena shooter experts were brought over to do the bulk of the work. In a close call, Battle Royale was originally going to be part of the Save the World, an optional PvP mode designed to satiate players looking for some human competition. Because Save the World is still in paid early access, that means Battle Royale could have been stuck behind a $40 wall, which might have slowed its growth significantly. Zobrist said it wasn’t until the final two weeks of Battle Royale’s development that the decision to make it free-to-play and separate from Save the World was made. Nice save. “I doubt any major publisher could have pulled off this kind of pivot in the time we ended up doing it,” said Zobrist. 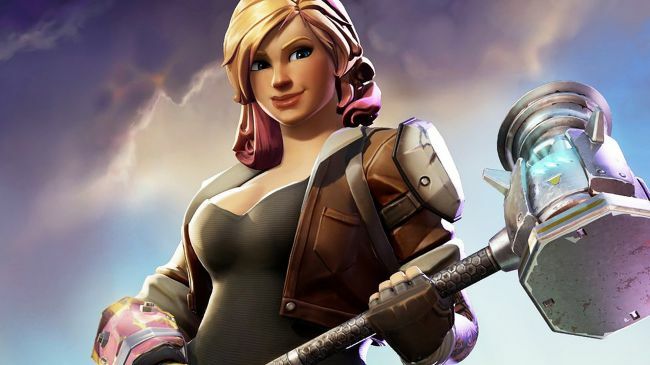 Of course, most of the work was already done—Fortnite had been in development since 2011, and as the creators of the Unreal Engine, Epic was one of the best poised studios to pivot like it did. But for a new game mode to be so rapidly developed while differing so much from the game's original vision, and to overshadow the original mode to this degree, is unprecedented as far as I know.